The media has been dutifully trotting out abortion “experts” to claim that women don’t abort for simple reasons late in pregnancy. These “experts” — some of them late-term abortionists — have repeatedly stated that women abort later because of fetal anomalies and because of threats to the mother’s life and health. But what does the research on this actually say? Well… it says the opposite, actually. And this research isn’t from the pro-life side. A 1988 Guttmacher study noted that only 2% of women seek late-term abortions because of a fetal abnormality. Pro-abortion researcher Diana Greene Foster has stated, according to a report from the Congressional Research Service, that abortions for fetal abnormalities “make up a small minority of later abortion.” Foster’s 2013 study published by the Guttmacher Institute states, “data suggest that most women seeking later terminations are not doing so for reasons of fetal anomaly or life endangerment.” In addition, a 2010 paper from Julia Steinberg with the pro-abortion Bixby Center for Global Health states, “Research suggests that the overwhelming majority of women having later abortions do so for reasons other than fetal anomaly (Drey et al., 2006; Finer et al., 2005, 2006; Foster et al., 2008).” The Guttmacher Institute is a pro-abortion research organization, a “special affiliate” of Planned Parenthood which was named after a Planned Parenthood president who was a staunch advocate for forced population control. READ: Why do women get late-term abortions? “Abortions performed due to maternal and/or fetal indicators are a small percentage of the abortions done later in pregnancy,” Ibis points out. 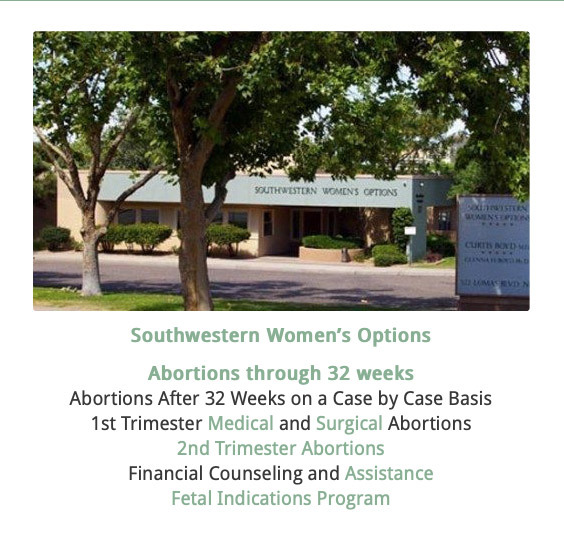 Editor’s Note, 3/2/19: This post was updated with more information about studies noting reasons for late-term abortions.